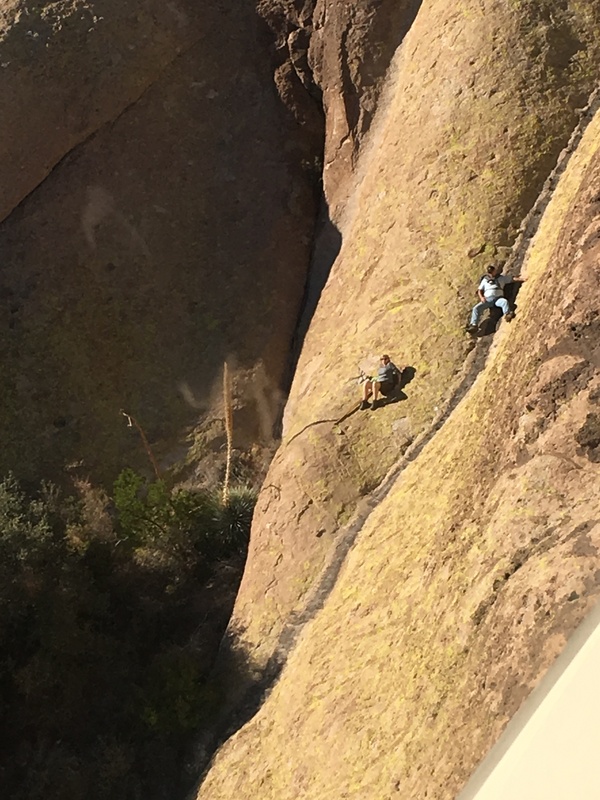 Pinal County, Arizona — On December 11, 2016, at 1:54 p.m., an Arizona Department of Public Safety (AZDPS) Ranger Helicopter crew was requested for the rescue of two hikers that were “cliffed out” on a bluff – meaning they were unable to climb or descend. Ranger responded and located the victims but determined that a safe extraction was not possible without first relocating the pair to less steep terrain. 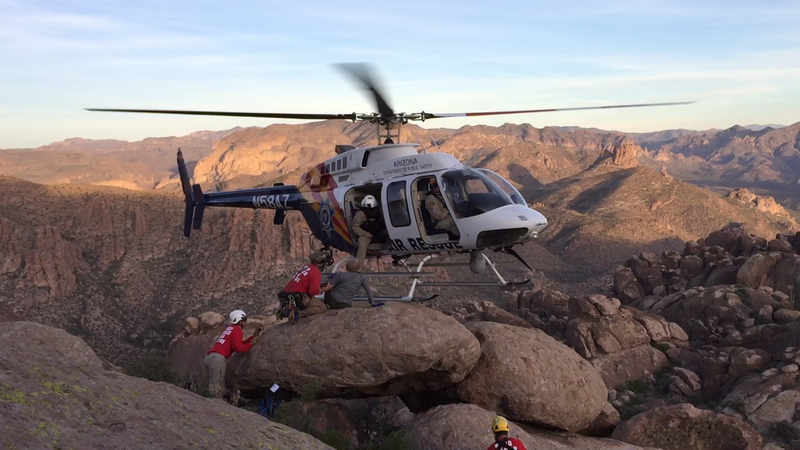 Four Pinal County Sheriff’s Office Search and Rescue volunteers with special equipment were flown by the DPS Ranger helicopter and inserted into the canyon near the location where the hikers were stranded. The Search and Rescue team managed to get the hikers to an area where they could be extracted by the helicopter using a one skid ingress. See video and photos of one skid ingress. Both were flown to the Pinal County Sheriff’s Department Command Post. Neither were injured. A short time later, the Ranger helicopter crew flew back and picked up the rescuers from the canyon and transported them to the command post. 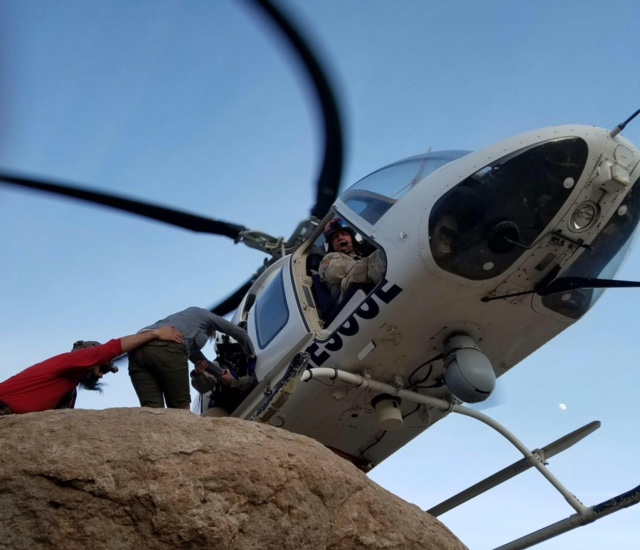 “This is truly a great example of the professional working relationship between AZDPS and the specially trained rescue personnel from the Pinal County Sheriff’s Department. In this case the combined effort between both agencies made for a safe resolution in this risky situation,” said Terence Miyauchi, Aviation Commander for AZDPS.